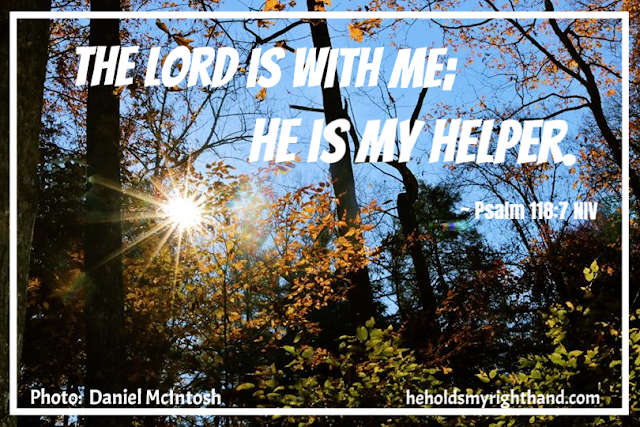 He Holds My Right Hand: TRUST #41: Has My Cancer Returned??? TRUST #41: Has My Cancer Returned??? My annual mammogram was on Wednesday, November 7th. It was done quickly and I left there without a concern. It has been 6 years since I was diagnosed with cancer on my right side and, so far, the left side had always been fine. "The doctor saw a change in your pictures this year as compared to last year, so we need you to come back in for a few more pictures, so we can get a closer look." "Not again, Lord. Please. I don't want to go through this again." Tuesday afternoon (the 13th) was my next appointment. I expected to just have the pictures taken and then be sent home like always. But this time was different. They escorted me into a private room, said the pictures would be sent over to the doctor right away, and then someone would come in to talk to me about them. My daughter, EL, and I sat in the room together. The room was quiet and comfortable. The only sounds I heard were of EL flipping through a magazine . . . as well as my thoughts going through my mind. I wasn't nervous, really. In fact, I was pretty calm, considering. I guess, more than anything, I just felt a little discouraged. I didn't want to be going through this, and I didn't want this "inconvenience" in my life. When the nurse came in, she didn't beat around the bush. She said they saw small undetermined calcifications. They could be nothing, but they need to be checked out, especially considering my history and the fact that this is the first time they have shown up on that side. So, I have been scheduled for a biopsy for this coming Tuesday. Am I scared? Not really. Am I worried? Not exactly. Am I nervous? Maybe a little. Do I TRUST the Lord to be with me and help me and my family through this? Absolutely! Thank you, Karen. I will let you all know how things turn out. Blessings! Chin up. Faith up. Prayers up. God has a plan. Praying for you. Please keep posted. Worrisome, but I pray that it will turn out to be nothing. Either way, when you are in God's hands, you are in good hands. I agree. Thanks for your prayers.